Fatema Kothari is the Vice President for San Francisco Bay Area ISOC organization. Here she writes about a recent industry event she spoke at, emphasizing the need to build people-centric connectivity solutions. 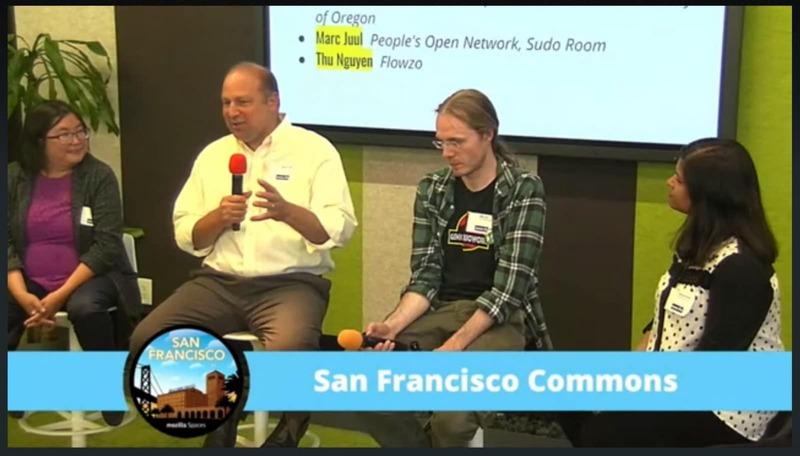 Last week, I had the honor of moderating an engaging panel discussion at Mozilla on the need for community networks and the important role they can play in bridging the digital divide. The panel highlighted the success stories of some of the existing California-based initiatives that are actively working toward building solutions to get under-served communities online. But why do we need community networks when nation-wide service providers already exist? According to Recode and the Wireless Broadband Alliance, 62 million Americans in urban centers and 16 million Americans in rural locations either don’t have access to or can’t afford broadband Internet. Locally, even in tech-driven San Francisco, more than 100,000 residents still do not have access to the Internet at home. A potential solution to help close this gap is to develop community-based connectivity projects, centered around the needs of the local individuals. 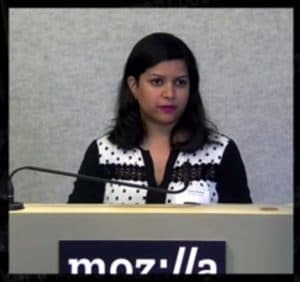 The goals of the Mozilla challenge are simple: how do you connect the unconnected and how do you connect people to essential resources when disaster strikes? The technical challenge can be approached in many different ways, but the crux of the problem lies in understanding and meaningfully addressing specific community needs. Ideally, by empowering individuals at the grassroots level, the dream is also to cultivate new voices that shape the future of the web and members who partake in the digital economy, reaping the benefits of a connected society. A key take-away from the event was the recurring challenge most of these organizations have faced at some point – how to build a project that is sustainable in the long term? Often, despite projects being adequately funded and having a clear technical plan of action, lack of local leadership and community engagement to carry these projects forward can result in an abrupt end once the initial deployment is completed. Local champions for connectivity, people who understand that digital dividends can change lives and people who know the value of a connected society, are critical in developing a solution that serves the community and builds an empowered Internet citizenry. A complete video recording of this event can be found here. Mozilla and the National Science Foundation are partnering to give away $2M in prizes for wireless solutions that help connect the unconnected, keep communities connected following major disasters, and which make use of urban infrastructure. Got an idea? Apply here.